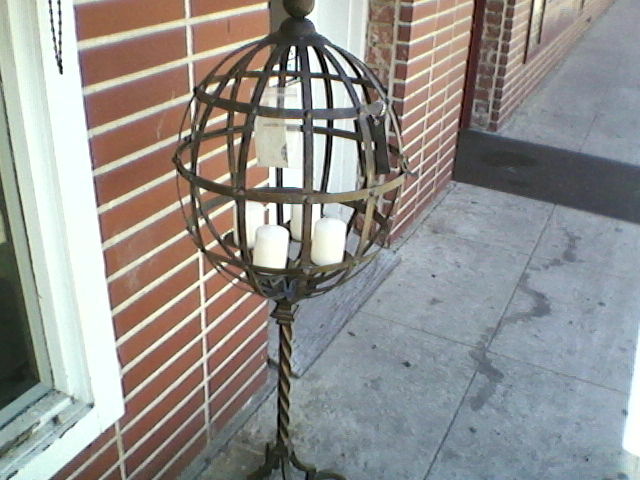 This is a candle stand I saw that I thought was neat. $75 is a little pricey, though. This post was meant as another test of posting from my phone. I was hoping I had found a way to do more than post a bare picture & title. Oh well, I’ll keep trying! Posted on July 9, 2012, in Daily Post and tagged I was really hoping that would work, postaday2012, testing. Bookmark the permalink. Leave a comment.